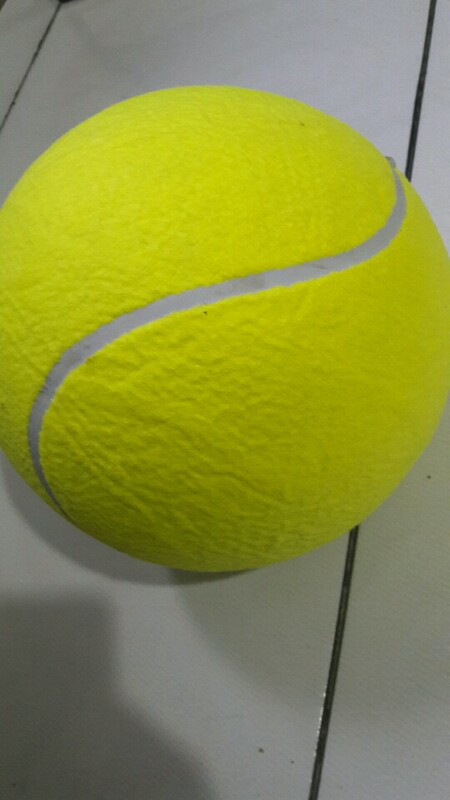 Dear buyer, This ball is made of a rubber core of a basketball and common felt of tennis ball, it’s much thicker than a normally pet tennis ball. But if you doggie is very naught or fierce, please choose it discreetly. some kids are really a toy killer 🙂 please notice that. BTW, please fill the ball as harder as possible. Genuine 24 Diameter Tennis Ball, Super thick! Use for signature or pet toy (My dog loves this type tennis ball very very much). My dog LOVES these balls! Thanks for the quick delivery. Awesome! My dog loves it! Have received the order. No problems. The product is great, the delivery to the Czech Republic fast. Will definitely order again. Size of the ball is mentioned in the description, but the ball looks much bigger in the pictures. The ball is great though. Bouncy and light. Size of a basketball.